Michael has been consistently named to the New York Super Lawyers list, a Thomson Reuters lawyer rating service, for 2007-2009 and 2014-2018. Michael S. Fox is the Chairman of the firm's Bankruptcy & Financial Restructuring Group. During his 30-plus years in practice, Michael has developed a reputation for being innovative, effective and efficient. Michael's diverse experience involves representing clients in all areas of financial restructuring, including Chapter 11 reorganization cases, out-of-court workouts and restructurings of troubled companies. He also counsels buyers and sellers of financially distressed assets and provides strategic counseling on business opportunities, the implications of transactions, and enterprise structuring and financing. Michael’s clients operate at the national level and span a broad range of industries, including retail, health sciences, manufacturing, health care, food, and consumer products. He represents distressed companies, creditors' committees, creditors, hedge funds, and debt and equity security holders. Michael's varied experience, ranging from small and mid-size business transactions to multi-jurisdictional, complex transactions for companies, provides clients with a unique combination of seasoned business and legal know-how. 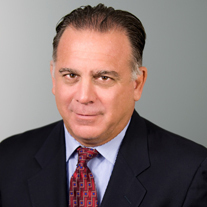 Michael previously was a founding partner of the boutique bankruptcy firm Traub Bonacquist & Fox LLP, practicing there from 1987 to 2005, when he moved his practice group to Olshan. "Debt Restructuring Agreements Find Favor in Preference Cases"